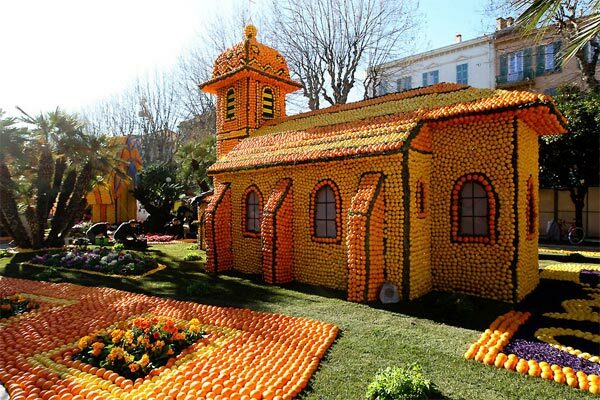 The Lemon Festival usually takes place between mid-February until March, in Menton – France. 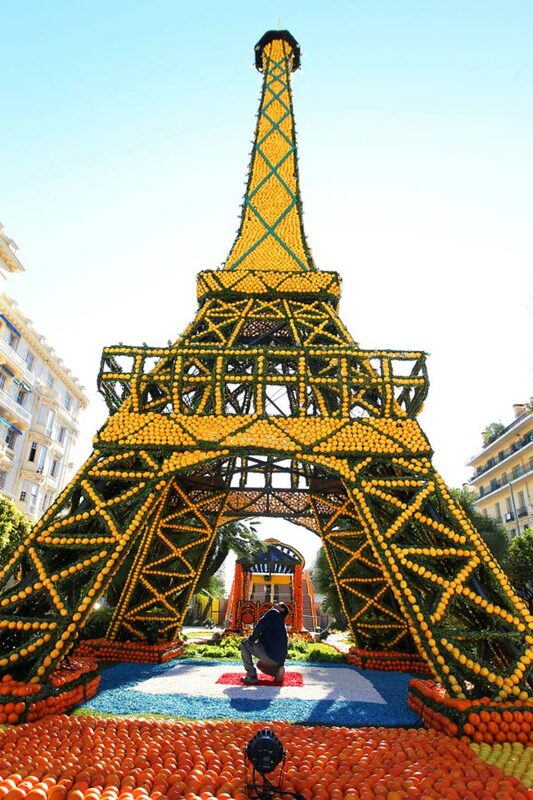 This is one of the largest festivals in the South of France attracting over 250,000 visitors and around 145 tonnes of lemons and oranges. 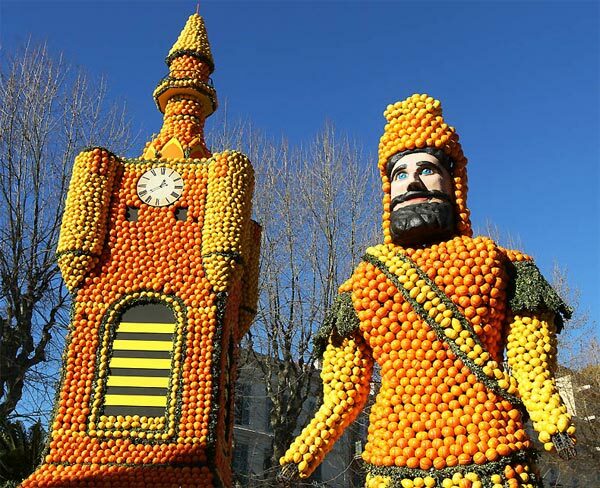 The bell tower and a giant, symbolizing the northern region of France. 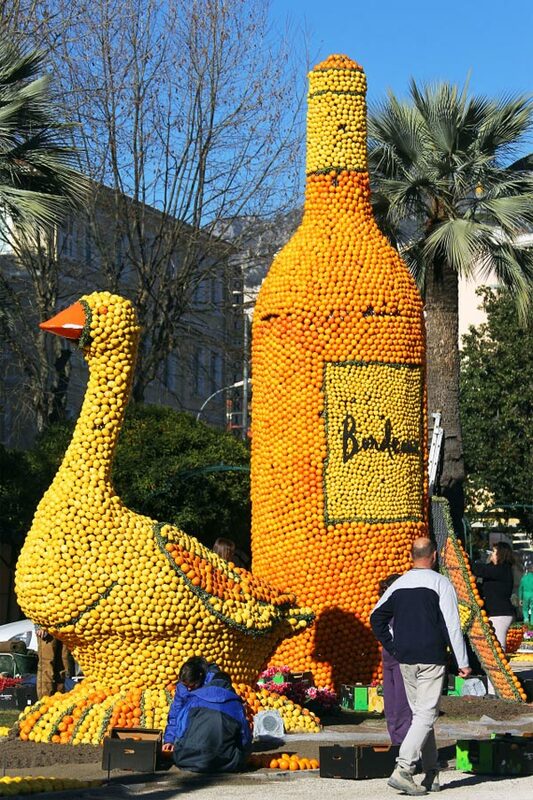 A bottle of wine and Goose – symbols of the south-western region of Bordeaux.